Mumbai-based OSLabs Technology India Pvt Ltd, which runs regional language mobile operating system Indus OS, has raised $5 million (around Rs 34 crore) in funding from investors led by Omidyar Network. Indus OS (formerly known as Firstouch) will use the money to invest in technology, recruit new talent and expand into international markets. The startup is already funded by angel investors including Snapdeal co-founders Rohit Bansal and Kunal Bahl, Quikr founder Pranay Chulet, InMobi co-founders Naveen Tewari and Amit Gupta, Hari Padmanabhan and Temasek Holdings' associate director Mayank Singhal. 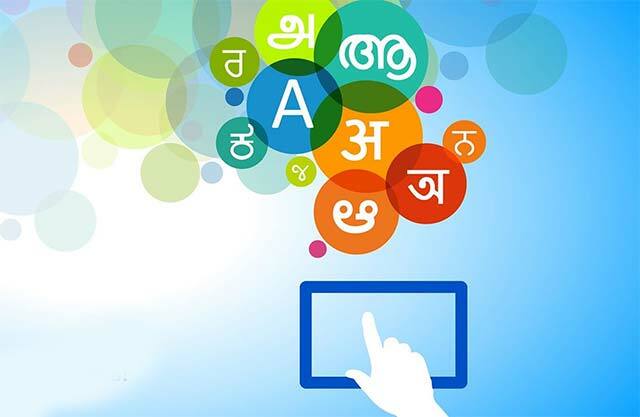 Indus OS was founded by three IIT-Bombay alumni -- Rakesh Deshmukh, Akash Dongre and Sudhir B.
Indus OS is currently available in 12 languages including Hindi, Bengali, Gujarati, Marathi, Tamil, Malayalam, Kannada, Telugu, Assamese and Urdu. “Indus OS is well-poised to reach 100 million users in the next three years and emerge as the undisputed leader in indigenous-language technology in emerging markets,” claimed Rakesh Deshmukh, co-founder and CEO, Deshmukh. Indus OS also recently signed an MoU with the Government of India’s Department of Electronics and IT (DeitY) to develop a native operating system with integrated text-to-speech technology in regional languages. It also plans to work with other domestic and global phone brands to bring digital connectivity to smaller urban centres, non-metro and rural areas. Omidyar Network India Advisors Pvt. Ltd. is a private equity and venture capital firm with $879 million under management. It provides early stage and debt capital to companies operating in Asia, Africa, United States, Latin America and Europe. Mumbai-based Rejuvenate Solutions Pvt Ltd, the company behind on-demand home services platform Zimmber, had just under $2 million (around Rs 12 crore) in pre-Series A funding round from IDG Ventures, Omidyar Networks, Ram Shriram's (founding board member of Google) Sherpalo Ventures and TV Mohandas Pai's (chairman of Manipal Global Education and former Infosys director) Aarin capital.